Continual innovation has ensured that the modern wristwatch exudes quality, enjoys precise timekeeping and is endowed with incredible longevity. While much of the watchmaker’s hard work can be instantly appreciated, the solving of what was arguably the biggest problem in watchmaking has flown a little under the radar, quite possibly due to the invisible nature of the problem itself: magnetic attraction. Most watch wearers are unaware of the dangers of magnetic radiation to their timepieces and over the years very few watchmakers have offered models with any degree of protection from its effects. Although magnetism is not considered harmful to humans, the chances of exposing our wristwatch to its effects increases annually. While it may seem obvious to expect magnetic radiation to be emitted from complex electric devices and appli-ances, especially personal productivity products containing speakers and magnetic latches, we should take care not to overlook the simplest of magnets we encounter daily – such as those holding the family photos to the refrigerator. The humble timepiece has become so much a part of our everyday lives that while we might not always immediately recognise it as such,the wristwatch we rely upon to navigate the hours of our days is a precision instrument. It is an extremely complex device with a mechanical heart beating so precisely and reliably that whenever we require it we can read the time display and be confident in the information we are provided. Magnetism only takes an instant for this unseen force to ruin our watch’s timekeeping, rendering it useless. While the effects can often be removed without dismantling the timepiece by using a process called ‘degaussing’, this needs to be performed by a professional, and service centres around the world report that repairing the effects of magnetism has become one of their largest workloads. The story of the watchmaker’s battle to create a timepiece completely unaffected by magnetism culminates with Omega’s recently released Master Chronometer calibres, but begins almost two hundred years ago. While in the early days of portable timepieces magnets were something only chanced upon infrequently, during the Second Industrial Revolution it was found that new electric power sources were causing accuracy issues with previously precise pocket timepieces. The powerful currents beinggenerated to power a newgeneration of machinery and electric lighting brought with them a by-product of unseen magnetic fields and this was quickly diagnosed as the source of timekeeping problems. The component parts of a watch movement are designed to run asfreely as possible. They are numerous and locat­ed within a tiny footprint, forcing them to live inclose harmony and operate within precise tolerances. When parts are mag­netised they become attractedto one an­other and rather than run smoothly they attempt to adhere together. 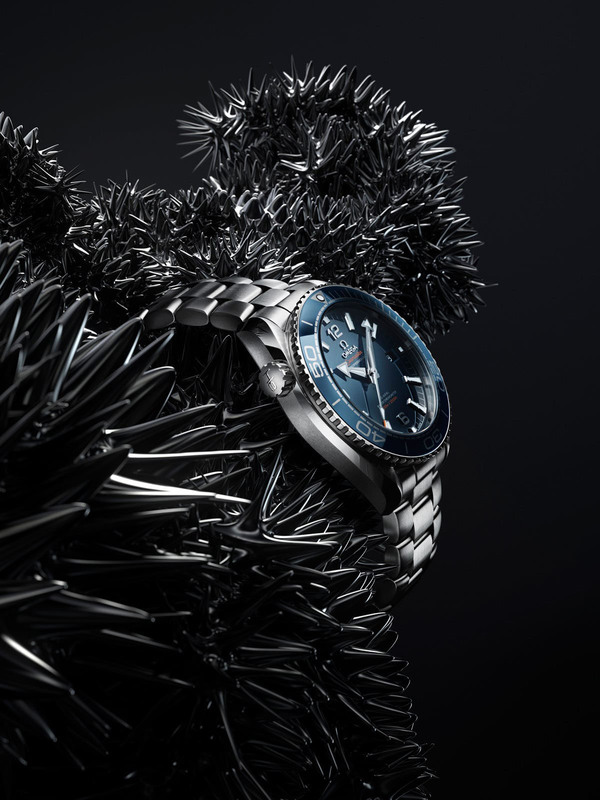 Makers of quality timepieces realised early on that it was possible to mitigate some of this issue in the gear train by craftingmove­ment parts from non-ferrousmaterials, as these metals and alloys enjoy antimag­netic properties due to their low iron con­tent. Whilecrafting the movement plates and gear wheels in brass alleviated theis­sue a little, the one part that was always necessary to make of steel was the hair­spring, steel being the only material avail­able from which to produce reliable and long-livedsprings. By the mid 1800s,watchmakers were already hard at work searching for a spring materialthat would not be affect­ed by magnetic fields, successfully exper­imenting with glass, palladium and gold. However, these materials proved too del­icate for prolonged use and the produc­tion of the parts in reasonable quantities was problematical for the technology of the times. It was not until the turn of the century that new alloys were discovered that combined both the flexibility and an­timagnetic properties required, paving the way for the first commercially avail­able ‘antimagnetic’ pocket watch to be launched in 1915. During this era, a new watch design was exciting customers: timepieces worn upon the wrist instead of inside a pock­et. The wrist was chosen as it allowed the wearer to check the time ‘hands free’, ex­actly what was needed while trying to control machinery such as early automo­biles and aircraft. However, this location also placed the delicate timepiece in more danger, not only from knocks and wa­ter ingress but also from sources of mag­netic radiation. The issue had become so much of a problem that in 1925 Omega re­leased a wristwatch chronograph proud­ly displaying the term ‘Anti-Magnetique’ on the enamel dial, followed by sever­al more pocket and wrist chronograph watches by the end of the decade. These early timepieces offered improved pro­tection compared to other watches of the day, however the degree of mitigation was limited by the technology available to only low gauss levels. At the start of WWII, the British Minis­try of Defence (MoD) produced a spec­ification for a pilots’ and navigators’ wristwatch that included a requirement for an increased resistance to magnetism. This was needed as the fighter planes of the day provided little shielding from the source of a huge magnetic field, the en­gine’s powerful magnetos. During the war years, Omega delivered more than 110,000 MoD specification timepieces, half of Switzerland’s total watch supply to the United Kingdom, which were re­vered by the military for their quality and accuracy. When the war ended, many of the technological advances began during the hostilities gained traction as civil projects; harnessing nuclearfusion to deliver do­mestic electricity, improving ageing public transpor­tation systems and the developmentof jet engines and rockets. Those working on the infrastructure of these projects often found themselves toiling in workplac­es permeated by ever-more powerfulelectromagnet­ic fields and their watches suffered. 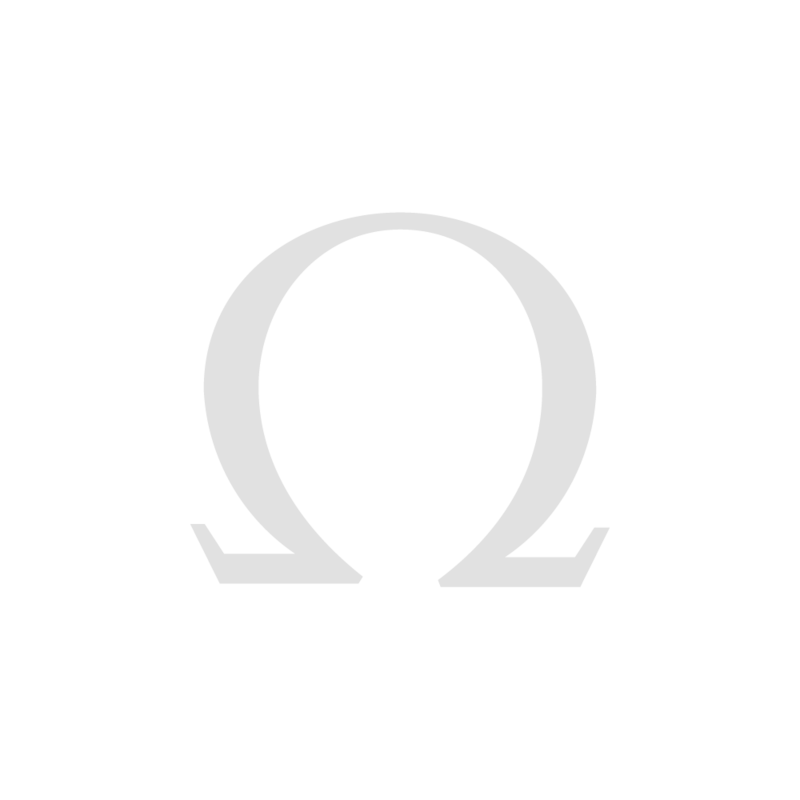 With this in mind, Omega began experimenting with a series of new an­timagneticprototype movements with balance wheels manufactured from special metallic alloys that were high in beryllium and protected by Faraday cages. With hair­springs still beingproduced in high iron content steel, the watchmaker’s only defence against magnetic radia­tion was to try to avoid it reaching this delicate part al­together. The Faraday cage was achieved by completely surrounding the vulnerable movement with a set of non-ferrouscovers, one behind the movement and another cleverly disguised as the dial. This forced the magneticfield to pass around the covers rather than penetrate and magnetise parts of the movement. In 1953, these prototypes formed the base for a new antimagnetic pilots’ watch to fulfil the new tougher re­quirements of the MoD, and the same year also saw a se­ries of civilian antimagnetic wristwatch prototypes with their dials bearingthe name ‘Railmaster’ loaned to Ca­nadian Railways to take part in a joint yearlong research project to perfect the antimagnetic watch. The lessons learned from that collaboration led to the launch of the production Railmaster model in 1957, a timepiece aimed squarely at professionals needing an antimagnetic watch for their work. The technology employed endowed these watches with magnetic resistance to around 1,000 gauss, approximately fifteen times greater than a standard wristwatch. This was a critical piece of timepiece inno­vation, important enough that the Railmaster was given equal billing alongside the then brand-new Speedmaster chronograph and Seamaster 300. For the remainder of the twentieth century, Omega continued to produce watches enabled with high levels of magnetic resistance by using Elinvar and Invar alloys for balance springs and Faraday cages within the watch­case construction. However, during the latter decades there was a proliferation in the number and strength of the magnetic sources in the wristwatch’s immediate environment. This was in part due to the explosive up­take of end-user electronics but also to the increased us­age of magnets in everyday objects. Concerned about the limitations in the protection technology available, Ome­ga engineers looked back to where watchmakers start­ed with the problem over one hundred years prior and they focused attention on the creation of a new type of hairspring. 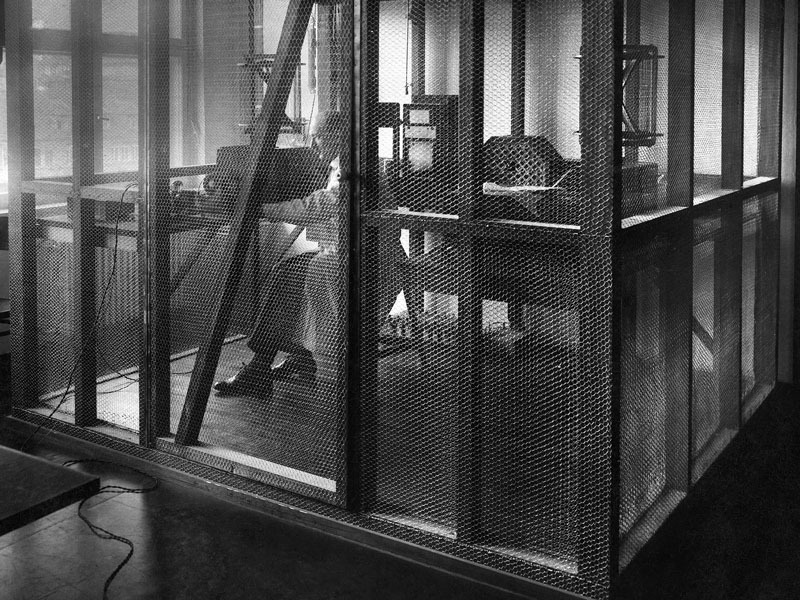 Faraday cages were invented in 1836 by English scientist Michael Faraday to block electric fields by using conductive materials to pass the force around the outside of the cage, protecting the delicate equipment within. The design of the cage allows this protection due to the distribution of the effect of the field over the conducting material, cancelling the effect of the field inside the cage. They can be utilised to protect humans from lightning strikes andelectrostatic discharges and are generally known for protecting sensitive electronic devices fromradio frequency interference. While Faraday cages cannot block static or slowly varying magnetic fields (e.g. the Earth’s magnetic field), they can effectively shield the interior if the encasing conductor material is thick enough, and if any voids in the mesh are significantly smaller than the electromagnetic radiation’s wavelength. The tightly coiled hairspring or balance spring controls the timekeeping. It is the wristwatch’s miniature equivalent of a clock’s pendulum and is precisely manufactured to an exact length and tension. The coiling and uncoiling of this spring oscillates the balance wheel with a known resonant frequency,controlling the speed at which the gears of the timepiece turn. Themore stable this frequency, the greater the precision of the timepiece. When magnetised, the coils of the spring become attractedto one another and the spring cannot fully uncoil. This shortens the effective length of the spring, which has the result of speeding up the timekeeping. In 2008, Omega launched the first Co-Axial movements with a balance springmanufactured from Silicon Si14. While steel springs suffer with variable results during manufacturing and finite life, creating these delicate parts from Silicon Si14 ensures the exact geometry is reproduced every time and remains in specification indefinitely. This space age material uses precise computer-assisted manufacturing processes to perfectly form springs directly from silicon discs in a single step. The result is a component three times finer than a human hair that resists sharp shocks and is completely unaffected by magnetic fields. 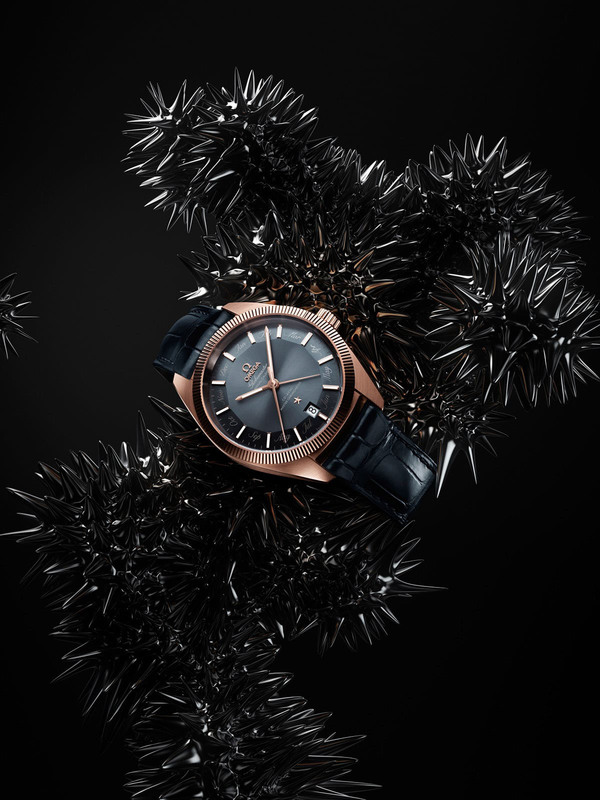 "The creation of new antimagnetic calibres has brought a new era of timepieces that are no longer troubled by magnets." Materials technology had come a long way in the intervening years, and in 2008 Omega was able to fit a Co-Axial movement with a Silicon Si14 balance spring, instantly alleviating the problem of magnetism from this major timekeeping component. That single innovation paved the way for the creation of the all-new Co-axial calibre 8508 that completely eradicated the problem of magnetism once and for all by re-engineering further movement parts using selected non-ferrous materials, including titanium and nickel-phosphorus. These up­dated components allowed timepieces to be immersed in magnetic fields in excess of 15,000gauss without fear that the timekeeping would suffer. An added bonus of no longer needing theshielding of a Faraday cage was that a window could be provided to view the movement through thecaseback. The new calibre that made its de­but with Omega Seamaster Aqua Terra >15,000 gauss in late 2013 was a game changer; the first timepiece not only resistant to low levels of magnetism but being com­pletely unfazed by even the strongest magnetic fields. 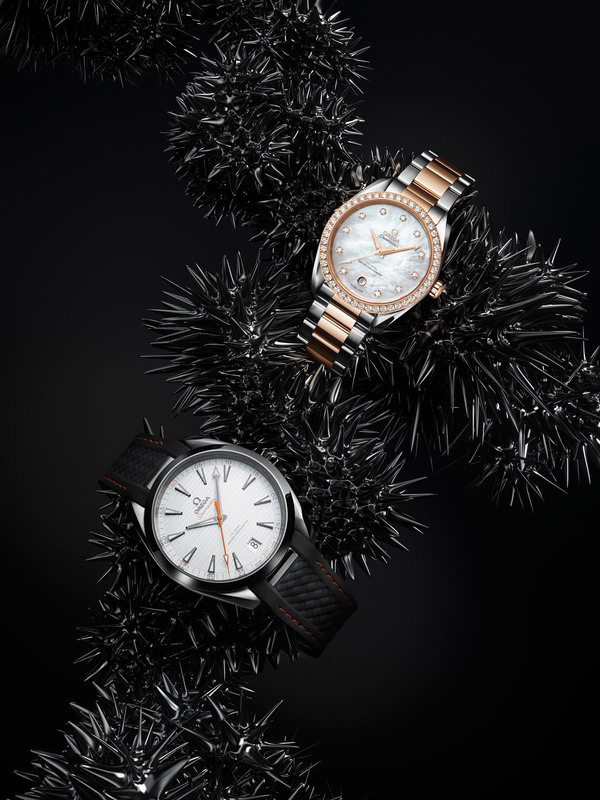 From 2014, Omega began a campaign to roll out this new antimagnetic technology to its newwatch releases by launching the new Omega Master Co-Axial family of calibres. Over the years, this has included both large and small movement sizes to power both men’sand ladies’ watches and was joined in 2016 by calibre 8800/8900 and9900 Chronograph. While the 1925 and WWII aviators and Railmas­ter watches were correctly classed as ‘antimagnetic’ by conforming to the standards of their day, all previous definitions of the term became outdated with Omega’s 2013 introduction of the first timepiecetotally imper­vious to magnetism. At this time, Omega was also be­comingconcerned that customers should not be forced to rely solely on the claimsof any watchmaker, feeling instead that buyers needed the confidence that perfor­mance claims were being substantiated by a third par­ty. Whilethe Swiss watch industry has employed other parties to test its wares for timekeeping over the years, what was required was more wide-ranging and Omega sought out the Federal Institute of Metrology (METAS), Switzerland’sofficial standards institute, to develop a suite of tests that would verify a manufacturer’s claims. As a trusted authority, METAS is well po­sitioned to enforce the new standards and as an independent body any other manu­facturer can also submit their products to undergo this testing and be awarded the new accreditation. METAS tests each timepiece for a full fifteen days across eight key areas that include three tests for magnetic resist­ance. The first two tests are performed on the movement once it has returned from COSC testing (an independent Chronom­eter certification) and then again when the movement has been built into a watch. During these test batches, ten of the move­ments (and later watches) are placed into a tunnel assembled from three hundred permanent magnets that generate a mag­netic field of 15,000 gauss. Each test is performed twice, with the subjects posi­tioned differently each time. Timekeep­ing during the tests is measured using a microphone that compares 30 seconds of ticking for any variation. In the third mag­netism-related test the complete watch is demagnetised and re-tested to check that its daily precision is unchanged. This proves there is no difference between a watch magnetised during a METAS test and one that has been demagnetised. If the watch passes these and the other tests, including tests for water resistance and power reserve, it earns the title of Master Chronometer. 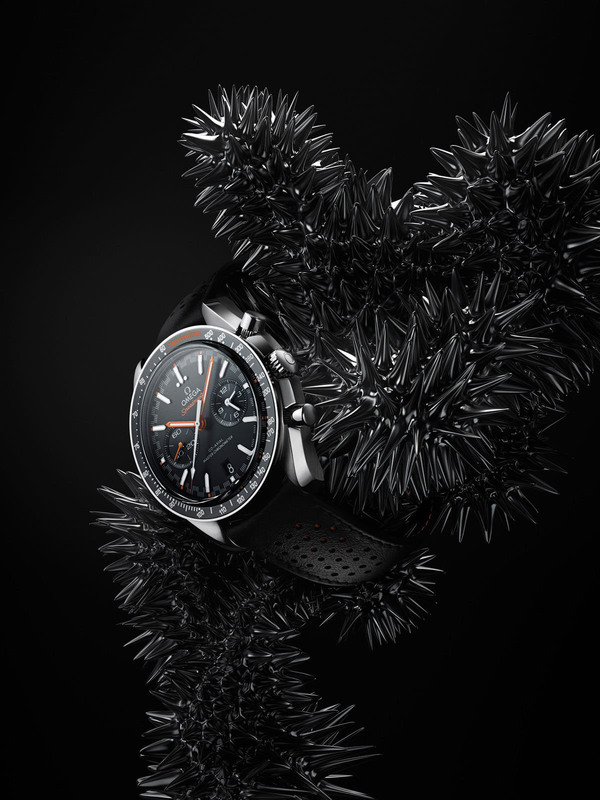 New technology, solid innovation and hard work has meant that Omega watch engineers can finally close the book on the centuries-old problem of the effects of magnetism. 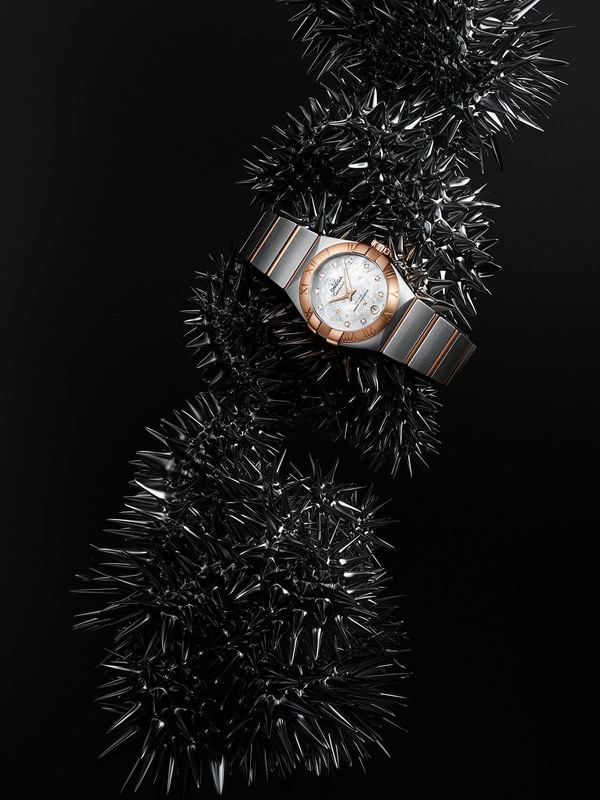 The creation of new antimag­netic calibres has brought a new era of timepieces that are no longer troubled by magnets. Third party certification ensures that timepiece owners can enjoy peace of mind about the precision and reliability of their timepiece in the modern world, con­fident their Master Chronometer will per­form as expected when it encounters both the visible and invisible dangers of every­day life.